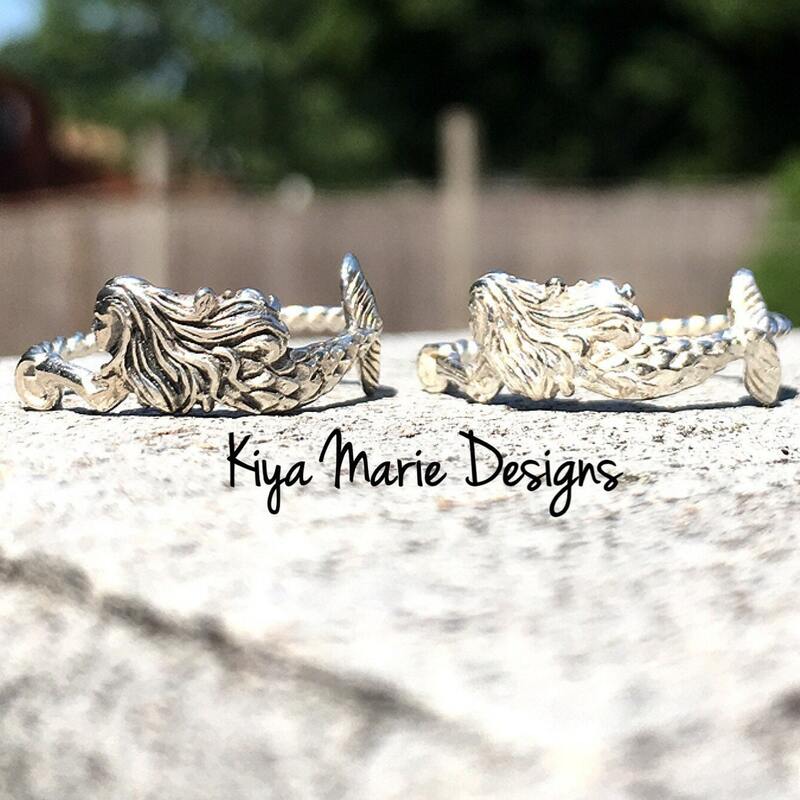 My sterling silver mermaid ring has been a huge hit on facebook; and now she swims over to my Etsy shop! The mermaid is solid sterling silver, and is shaped into a semi circle to cover the front of your finger. The band is made from twisted Argentium Silver wire. Argentium silver is whiter, brighter, and contains more silver than sterling. It also doesn't tarnish as easily due to germanium content. This is a perfect gift for the beach lover, or for yourself! Made to order and made to last in any size. If you don't see your size on the list- just include it in a note. Please choose if you'd prefer your mermaid oxidized or bright silver. In the first photo, oxidized is shown on the left, bright silver is shown on the right. The ring will come wrapped safely in a gift box. Lovely unusual ring --- not many mermaid rings out there. My granddaughter is crazy about mermaids (and loves jewelry) so I know she will love this on her birthday.